Is there a better color than red...? For the first time in its history, the mythical vial conceived by Mademoiselle Chanel leaves its transparent design for what it is and wraps itself in a fire-red gown. For a limited edition, the Eau de Toilette N°5 L’EAU and the Eau de Parfum N°5 (100 ml) are surrounded by a mass of colored red glass and there will be 55 numbered copies of red baccarat crystal in collector’s size of the Extrait N°5 (900 ml) created. 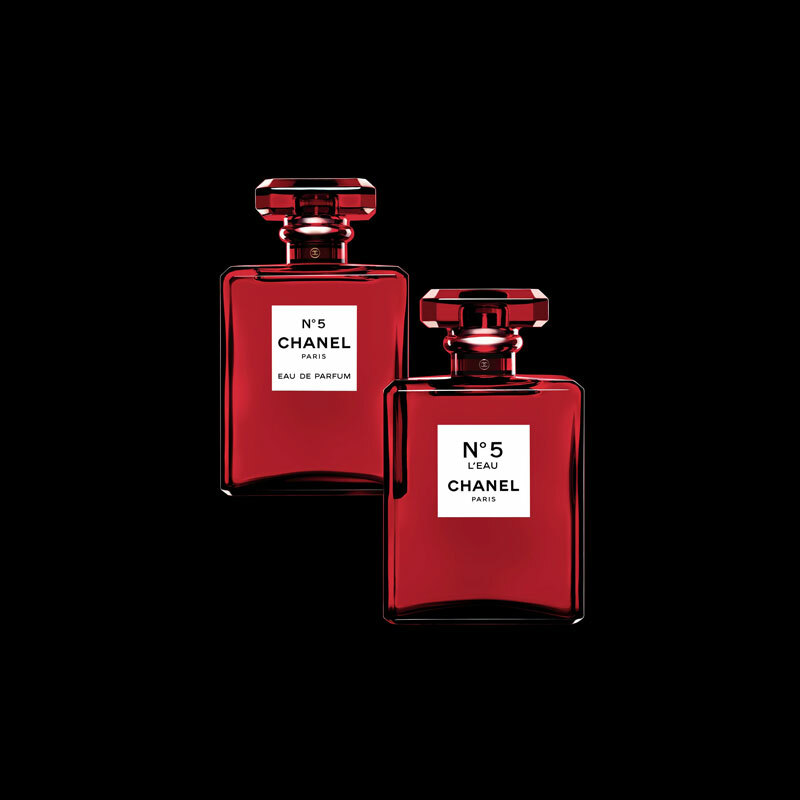 Is there a better color than red to be in harmony with this ‘ladies perfume with the smell of a woman’ that was designed as an olfactory copy of Mademoiselle Chanel? His radical design, designed in 1921 and modified in 1924, the geometric, transparent simplicity of a rectangular bottle and a facetted stop has become an aesthetic manifesto of modernity. The iconic bottle has subtly evolved during the 20th and 21st centuries and has retained its masterly balance between shape and proportion. Always faithful to his pioneering nature, he now lets himself be carried away by a new aura. it defined, to connect with the power of N°5, symbol of a visionary mind? and embodies the power of a woman who has her destiny in her own hands. Is there a better color than red to express the uncompromising choices of a fashion designer who only wanted to dress women in black, white, beige, gold or … red? A color whose all shades, has explored the liveliness and profundity. Whether it is carmine, garnet or ruby ​​red, combined with velvet, tweed or muslin, worn on a tailor or cape, red looks resolutely fashionable in its resolute choice. Not as a small detail but as a completely filled abstract painting, as a fatal attraction that you can not keep your eyes off. gave rhythm its life in many films and photos.